DAVOS - No Western liberal would disagree that Donald Trump’s election was a disaster for American society, while that of Emmanuel Macron was a triumph for French society. In fact, the opposite may well be true, as heretical as that sounds. The first question to ask is why people are engaged in violent street protests in Paris, but not in Washington. I have personally experienced these Paris protests, and the smell of tear gas on the Champs-Elysees reminded me of the ethnic riots I experienced in Singapore in 1964. And why are the “yellow jackets” protesting? For many, at least initially, it is because they didn’t believe that Macron cared for or understood their plight. Macron is trying to implement sensible macroeconomic reform. The proposed increases in taxes on diesel fuel would have reduced France’s budget deficits and helped lower its carbon dioxide emissions. 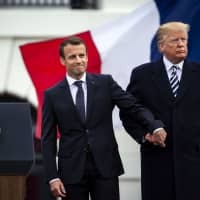 His hope was that a stronger fiscal position would increase confidence and investment in the French economy so that the bottom 50 percent of society would eventually benefit. But for people to endure short-term pain for long-term gain, they must trust their leader. And Macron, it appears, has lost the trust of much of that bottom 50 percent. By contrast, Trump retains the trust and confidence of the bottom half of U.S. society, or at least the white portion of it. At first sight, this seems strange and paradoxical: the billionaire Trump is socially much further from the bottom 50 percent than the middle-class Macron is. But when Trump attacks the liberal and conservative U.S. establishments, he is seen as venting the anger of the less well-off toward an elite that has ignored their plight. His election may, therefore, have had a cathartic effect on the bottom 50 percent, which may explain the lack of street protests in Washington or other major American cities. And these Americans have much to be angry about. Most tellingly, the United States is the only major developed society where the average income of the bottom half has not just stagnated but declined markedly, as Danny Quah of the National University of Singapore has documented. Even more shockingly, the average income of the top 1 percent was 138 times that of the bottom 50 percent in 2010, up from 41 times higher in 1980. Yet there was no doubt when China joined the World Trade Organization in 2001 that “creative destruction” in developed economies would follow, entailing millions of job losses. These economies’ elites — whether in the U.S., France or elsewhere — had a responsibility to help those who were losing their jobs. But no such help was forthcoming. Conventional macroeconomic theory remains sound. 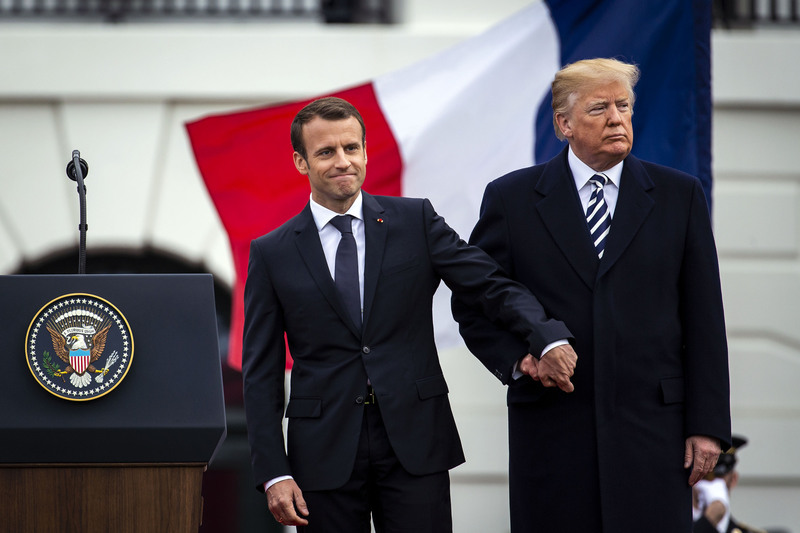 Trump’s policy of running larger budget deficits in good times will bring pain later, while Macron’s economic policies will eventually pay off if the French remain patient. And Macron may yet back reforms that address inequality. But Macron is clearly not trusted by the bottom 50 percent, while Trump is. For this reason, liberals may have made a strategic mistake by focusing their anger on Trump himself. Instead, they should ask themselves why much of the bottom 50 percent trusts him (and may yet re-elect him). And if they were honest, liberals would admit that they have effectively let the bottom half of society down. If liberals want to defeat Trump, there is only one route: regain the trust of the voters that form much of his base. This will require them to restructure their societies so that economic growth benefits the bottom half more than the top 1 percent. In theory, this can be done easily. In practice, however, major vested interests will invariably seek to block reform. The choice for liberals is clear: they can feel good by condemning Trump, or they can do good by attacking the elite interests that contributed to his election.